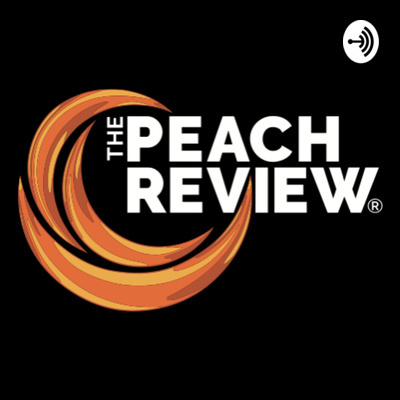 This is a podcast for The Peach Review® Magazine in Atlanta. Here we'll share various types of reviews including art exhibits, ballets, musicals, movies, and more from around the city. We'll also share interviews with special guests! This week's PEOPLE guest is actor Ray Chase. Chase is best known for his versatility as a voice actor in video games and animation, as well as being a major spokesperson for brands such as Coke Zero, Progressive, Welch's, Corona Light, and Naturebox. Video game fans know him as the lead protagonist Noctis in the best-selling Final Fantasy XV and Edgar from Final Fantasy VI in World of Final Fantasy. Superhero fans know him as the voices of Jason Blood and Etrigan the Demon in the DC feature film Justice League Dark. Listen and learn about where the Ray Chase story begins, how he landed the Noctis gig, and which Final Fantasy is his favorite. Our second guest in our "PEOPLE" series is Nancy Grace. At Crime Con she was quite popular with her podcast session “Lady Justice Is Calling!” Our favorite television personality and former prosecutor led an impassioned presentation where she dove into her experiences growing up that led her to be passionate about victims’ rights and justice. We had the opportunity to speak to Grace about her new podcast, Crime Stories, and her experience at Crime Con. Momocon is the convention that we like to say kicks off the convention season. They continue to grow in size and get better in quality and guests every year. This year one of the many guests we spoke with was Chris Sabat, the legendary voice actor who plays the role of Vegeta in the Dragon Ball series (as well as Piccolo, Yamcha, Mr. Popo, and many more). Chris is our fourth guest in our PEOPLE series that we kicked off Dec. 7, 2018, and will run through January. We began with actress Alex Paxton-Beesley, Nancy Grace, and Chris's Dragon Ball compatriot Kyle Hebert (who voices Gohan). Kyle is a funny, talented, humble guy with good advice and honestly, he thought he could beat TBZ as Perfect Cell (which we know is impossible, he's perfect). Hello and welcome to the first episode in our "PEOPLE" series! Here we'll post a collection of interviews we've conducted with actors, voice actors, directors, game developers, and even cosplayers. Today's interview comes from our Lauren Brumley as she chats with actress Alex Paxton-Beesley (“The Strain,” “Murdoch Mysteries”). She tells Lauren about her Crime Con experience and promotes WGN America's new true-crime series "Pure." Anime Weekend Atlanta (AWA) is a 4-day convention held annually at the Cobb Galleria and Renaissance Waverly Hotel. 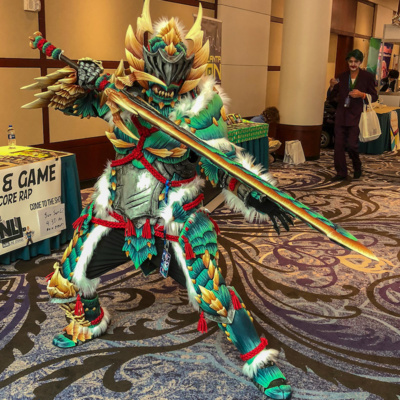 The event is a family-friendly celebration of Japanese anime (animation), manga (comics) and cosplay (costume-play) and takes place the last weekend of September. Get the rundown of AWA, how to follow for 2019, and hear our chat with Ray Chase (Final Fantasy XV, My Hero Academia). 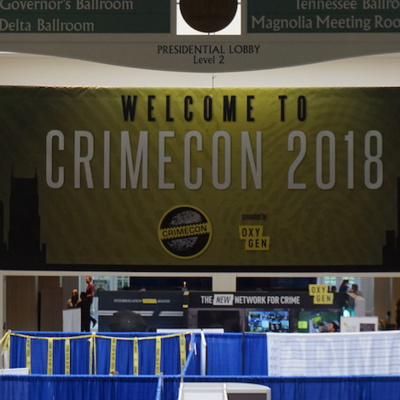 Crime Con kicked off its second year at Nashville’s famous Gaylord Opryland Resort and Convention Center. The three-day true crime-themed convention featured interactive panels, live podcast recordings, exclusive screenings, and rare opportunities to hear from prestigious guest panelists, speakers, and experts. This episode also features a sit-down with Nancy Grace and Alex Paxton-Beesley. Are you suffering from Con depression? You're not alone! 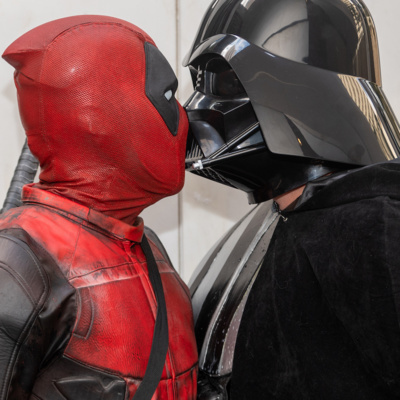 Our guy TBZ talks about his favorite things from Dragon Con 2018. You can his favorite things here: https://bit.ly/2yeCVl5 (Hint: There's some cosplay in there) Forewarning, the audio quality isn't the best because of some technical difficulties afterward BUT! It's still audible, you still get a healthy dose of Perfect Cell, and dude, check out that cosplay! It's a small hotel with high mileage on it that's seen better days. So what's the worst that could happen when a pastor, a singer, a vacuum salesman, and a few runaways show up? Actors include Jon Hamm, Dakota Johnson, Jeff Bridges, and Chris Hemsworth. Hear about our adventure at the inaugural Atlanta Comic Con. Also, hear our interviews with two black-owned comic book companies "Native Comics" and "The Elements". Denzel Washington is back! He's delivering justice, haymakers, and Lyft riders! Check out our review of Equalizer 2. Hear about the latest film starring Dwayne "The Rock" Johnson in 'Skyscraper.' If you thought a sky-high building could stop the Brahma Bull, you thought wrong! With so much creativity coming out of Oakland, CA it's almost hard to keep up, but we're here to help. The film you need to keep your eye on is "Sorry To Bother You" starring LaKeith Stanfield. It's in limited cities now but will be out everywhere this Friday, July 13, 2018. Listen to why you should see the film, a quick exchange between Danny Glover and Lakeith, and hear from Boots himself when we spoke to him in Atlanta. Hear a review of the sequel to Sicario. In Day of the Soldado, we get another dose of Brolin-Benicio and it turns out to be a win for everyone. Lots of action, lots of guns, and one epic soundtrack make for a true movie-going experience! Check out our review of Jurassic World: Fallen Kingdom Hear our likes and dislikes before the film hits theaters this Friday! After 14 years, the sequel is finally here. Listen to our review of Incredibles 2 and find out what all the fuss is about! Episode 5: Won't You Be My Neighbor? Listen to a review of the long-awaited documentary "Won't You Be My Neighbor?" on the life of Fred Rogers. Most know him simply as "Mr. Rogers" and the documentary is a powerful one. Fred Rogers was a man who embodied kindness and showed just how powerful it can be. Here we have a full review of "Sweeney Todd: The Demon Barber of Fleet Street," the final production of the 2017/18 Atlanta Opera Season. See why Sondheim's famous musical was such a success and hear a snippet of the popular track "The Ballad of Sweeney Todd." The written review plus the remaining schedule and link for tickets are available on our website. In today's episode, we have a fresh review of Ocean's 8. Ocean's 8 will hit theatres everywhere Friday, June 8, but before you go, peep our podcast on what to look forward to. We even have some soundbites from Mindy Kaling and Awkwafina to go with this power-packed, women's led heist! In Episode 2, we made our way to have the first look at the all-new Winnie-the-Pooh: Exploring A Classic exhibit at the High Museum of Art. Whether you're a Disney fan or not (but let's face it, you more than likely are), it's an all-around great exhibit. Our Editor-in-Chief gives a heads up on what to expect and even shares how you can see the exhibit for free... But you have to listen to find out!